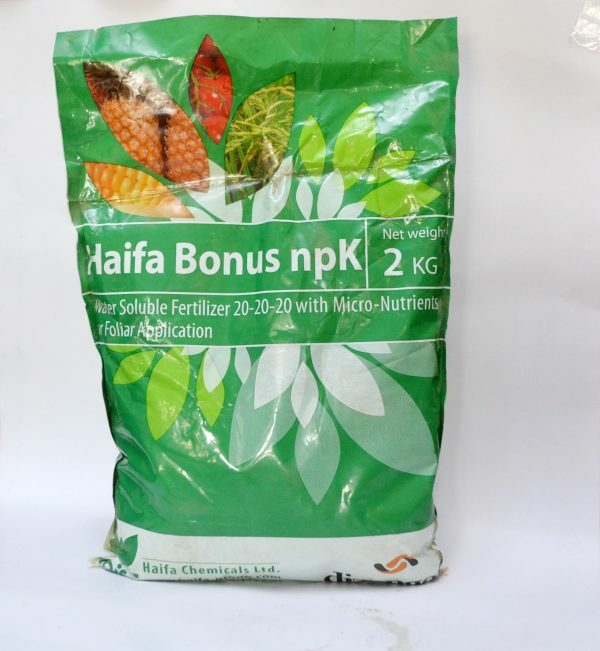 Water soluble fertilizer 20-20-20 with micro nutrient. Free of harmful compounds such as chloride, sodium, per chlorate and excessive sulfate. Contains a specially developed catalyst for better adhesion to the leaf surface. Improved absorption and prolonged action.